Lightweight PVC ducting. The internal steel helix resists distortion during installation. Suitable for refurbishment or horizontal duct runs in roof and ceiling voids. 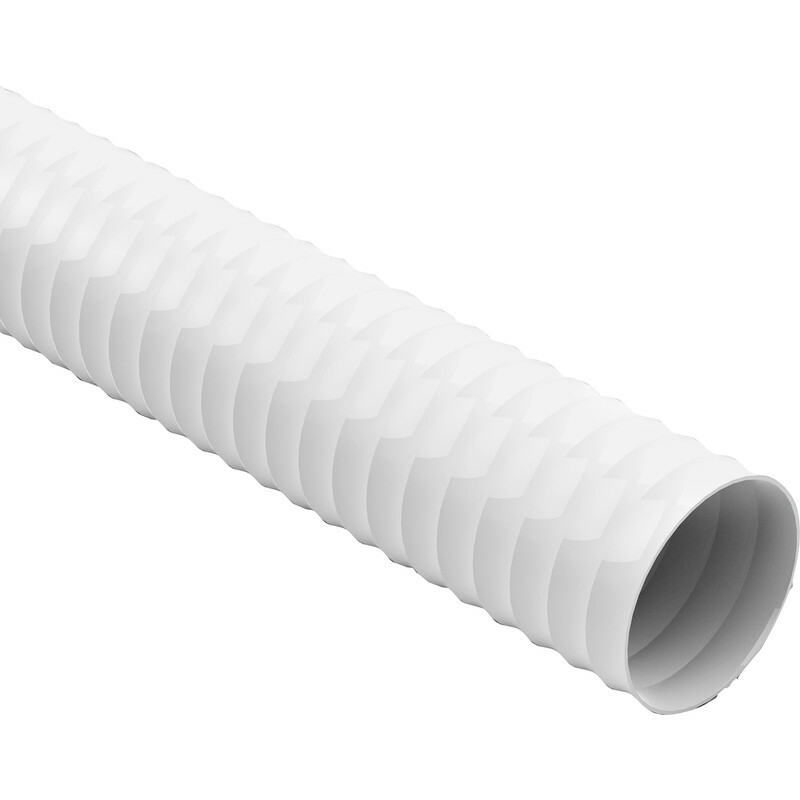 PVC Flexible Ducting Hose 150mm x 3m is rated 4.7 out of 5 by 30. Rated 5 out of 5 by Woodcote52 from Great Replacement Used this hose to connect tumble drier to external vent. Hose supplied with drier was made of thin aluminum foil and although fitted with great care, foil leaked hot air via a number of small perforations along its length. Replaced it with this product. Rated 5 out of 5 by RajK from Ducting pipe for mobile air con Good value. Does the job well. Delivered fast. Rated 5 out of 5 by Mr Minogue from Grate for my air con unit. Got this as a replacement for the hose on my air conditioning unit. You will need a long cable tie to content to the round bit on the back of the machine. Does the job at half the price of a air conditioner kit. I’m very happy with the item. Rated 5 out of 5 by Fish 1235 from Check the colour I bought this thinking it was as shown WHITE it turned up grey? how does this match the rest of the extractor system in white? Rated 4 out of 5 by Anwar4 from fit for purpose extract venting. good all purpose flexible ducting.